Couple of weeks ago Winston from mybadmintonstore.com sent me a really interesting racket to review. It is the MBS aTom 10. 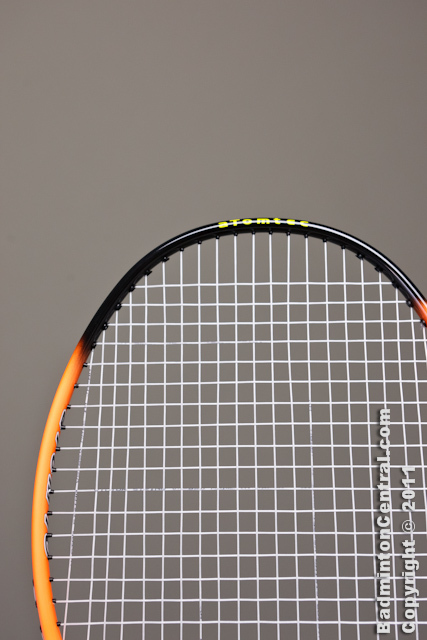 The aTom 10 is the very first racket that MBS made and it is the result of MBS’ partnership with some ex-Kason engineers, unlike the Revesports that I reviewed previously, this one bears the MBS with the MBS logo. It is quite interesting mainly because it is a very niche racket. a 5U racket that weighs only 78.4grams on my scales. Perhaps the intention was to enter the badminton market with a distinctive product, or perhaps because they just want to be different. Whatever it is, the aTom 10 is really quite a racket, as we shall see. 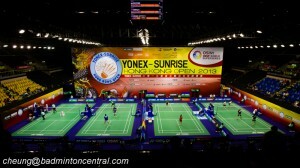 The name aTom as we can probably guess by now signifies how light the racket is. there are many 4U (80-84grams) in the market but it takes a lot of engineering effort and expertise to manufacture a 5U racket. There have been some who claimed to have made one like Karakal but they deceived everyone using a marketing scale that do not include the racket handle. with the handle it is actually much heaver at 80+ grams. I have confirmed with my own digital scale that my copy weighs a really quite impressive 78.4 grams and a BP of 305mm. This is quite incredible given that MBS has no problem rating the racket to be strung at 26lbs. The aTom 10 also come with a distinctive look. a white black and bright orange color scheme with a asymmetric patch of atomic orange color at the 3/9 o’clock positions. Bold transition between white and black at the shaft is contrasted with the gradual transition from black to orange at the frame. The boldness surely attract attention. Over the course of the evening a few people came asking me what racket it is. While the racket sure achieve the goal of being bold (i hope that’s the goal of the design) and attention getting, looking at it do not give me the feel that it is an expensive racket. Perhaps it is the simplistic use of color or the roughness of the color transition. It just doesn’t give me the sense of sophistication that i’d associate with top branded rackets, regardless of whether the color scheme was simple or not. But let’s not go too much into the cosmetics and instead let’s look at the construction. My sample racket weighed a total of 78.4 grams. Which is well into the 5U range. A balance point of 305mm is necessary to make sure that the racket don’t lose too much power. Which is a good move from MBS as any lighter, it will just feel like a whip with weak impact on the shuttle itself. The measure weight and balance is well within the specified spec of 75-79g and a BP of 295-305mm. The frame shape is low-isometric, so slightly so that it almost can be considered oval. This is also probably due to the less material used in the frame and a more oval shape is necessary to keep the frame strong. The frame starts off at around 11.3mm wide near the T and follows a reverse taper profile with a width of 11.45mm at 3/9 o’clock and then tapers down to 10.5mm near 12 o’clock. The frame follows roundish oval profile throughout the frame. The shaft has a uniform thickness of 7.2mm throughout and only widens when it reach the T-joint. The shaft feels only medium stiff. 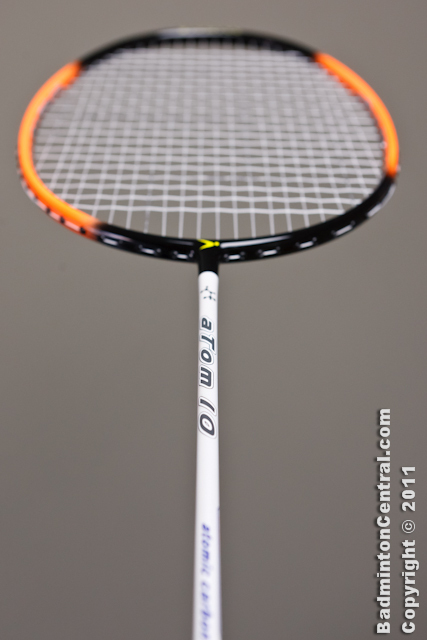 The aTom 10 is rated for a maximum of 26lbs, which is actually quite generous given that this is a true 5U racket. However, seeing that the frame look quite sturdy, i have decided to string it higher than the recommendation at 27lbs. Afterall, I am not in the position to worry about any warranty claims anyway. I do have to consciously put in extra care when stringing it at this high tension in the risk of any death on the table. Carefully to make sure that i pull the mains symmetrically and make every step with care. With 6 points support firmly in place, the frame held up well despite a noticable amount of deformation during main tensioning. But in the end, it survived the whole process without much surprises. The grommet are of OK quality, there are matching sized grommets according to hole usage, which nice. however, there are some rough edges on some and some have left over molding, which can be improved. To my surprise, after the string is in place, the feel of the racket on hand isn’t very much different than a 4U. it does feel marginally lighter but not overly so. Real hitting test will reveal the rest. 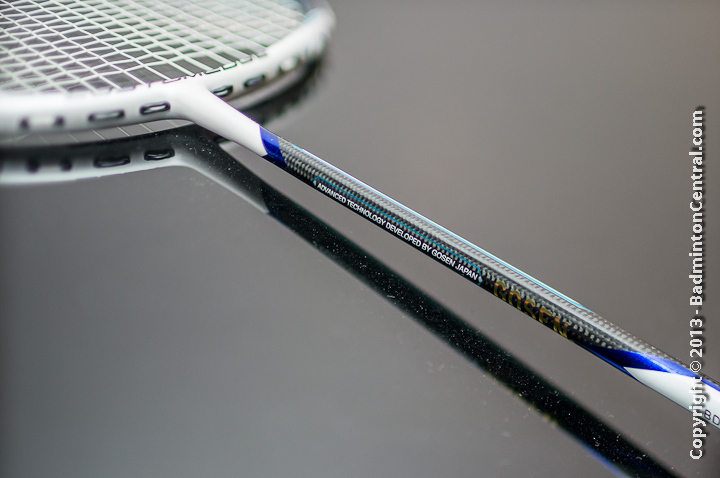 While the soul of the aTom 10 is it extreme lightweight and thus maneuverability, it won’t be a good racket unless it also provide a lively feel and good control feedback. I am glad to say that MBS didn’t disappoint in this regard. The aTom 10 impacts the shuttlecock with a solid feel and provide really rather decent repulsion despite the light weight. I was a bit surprsed by that as many light weight rackets I have tried previously have failed pretty miserably on the solidness and repulsion. Happy to say that the aTom 10 do not feel hollow at all and in fact has quite a low amount of dampening which allows a lot of feel to go back to the player. 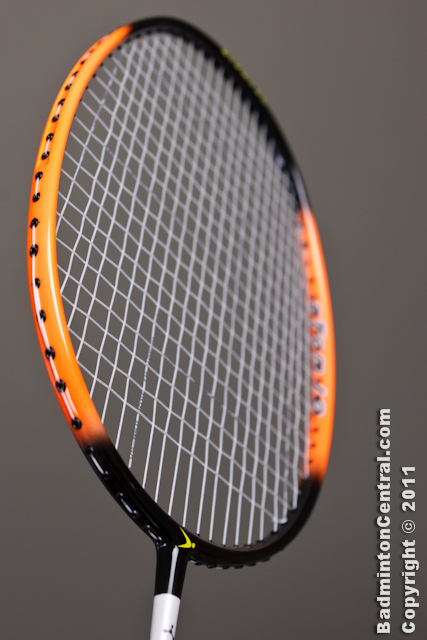 Being a superlight racket the aTom 10 is extremely maneuverable. So much so that it actually makes it fun to use. The speed and maneuverability, as well as the excellent feel opens up a lot of opportunities to shots that i previously isn’t able to do, especially for variations in defense i was getting a lot more choices in angles that i wouldn’t even attempt before. Drives and defense are pretty effortless and impact feels sure and solid. This racket really shines at the net and mid-court for superfast drives and interceptions. Clear is actually not bad, it only require a little change in technique with more emphasis on wrist action, giving the racket a bit more speed at impact. Push shots and blocks i have more problem with as i experience a lower stability compared to more heavy rackets. Block and push shots need more deliberate movement to make sure that the racket is firmly in motion to counter any racket deflection. Net shots are actually not a problem with the aTom, but especially for crosscourt net which requires a much faster racket motion was great fun with the aTom 10. Being a superlight racket i have more trouble getting a powerful smash out of it. I can manage to induce a lot of speed into the racket head by giving it much more wrist strength, and while it really does impact the shuttle and produce a very solid repulsion, the resulting speed of the shuttle do not feel extremely fast. Well, it is fast, but not as much as it would be compared to heavier rackets. Over the course of the evening I was able to adjust more and seems to be better but it took a lot more effort to get to that point. Players who have a more wristy smash technique might benefit from the aTom 10. Overall I think the aTom 10 is a great entry into the market by MBS. They have chosen a very specially spec’ed racket that was well engineered. Only slight performance was sacrificed in order to achieve the super light 5U weight. For people who like to use a super light racket to take advantage of the incredible maneuverability and speed, this is a really really fun racket to use. I have enjoyed using it. This racket will be a head-turner in both the graphic design as well as the super-lightweight spec. What backup racket should you buy?